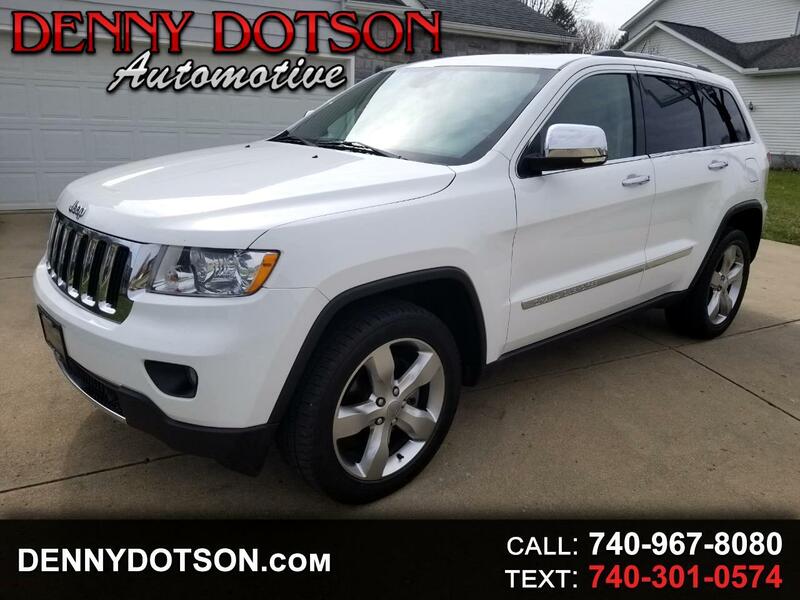 Used 2013 Jeep Grand Cherokee 4WD 4dr Limited for Sale in Johnstown OH 43031 Denny Dotson Automotive Inc.
One owner 2013 Jeep Grand Cherokee Limited 4X4. Bright White Clearcoat over Light Frost Beige/Black w/Premium Leather Trimmed Bucket Seats. Clean one owner history with reported accidents or other damage. Panoramic Moonroof, 20" Alloy Wheels, Tow Pkg, Backup Camera, Bluetooth, Navigation, and heated seats round up the great option content. Come complete with all of the books, manuals, and both sets of keys. Very nice Jeep. Serviced with Jeep.